We now manufacture and supply a range of quality concrete blocks and bricks from our Santon Depot following a major investment in 2017. All of the above are available in 7N and 10N, with higher strength blocks able to be manufactured with a suitable lead time. 15N Concrete Bricks are always in stock also. 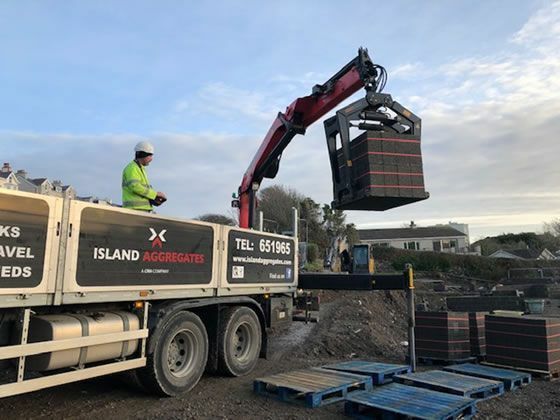 As well as ex-works collections from Santon, we can deliver island-wide in one of our 2 purpose-built block off-loaders . We can deliver up to 880 blocks in a single load and have a smaller 6-wheel truck for those sites with tighter access requirements. Data sheets on our concrete blocks are available on request.